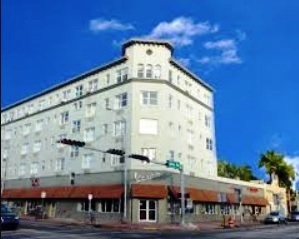 A 70 unit apartment building, 17 units on each of 4 floors, average size is 296 square feet, with retail on ground floor, 33 surface parking spots, in CD-2 zone to be converted into a hotel or hostel. Currently, the minimum size requirement for a hotel room is 300 to 335 sf. 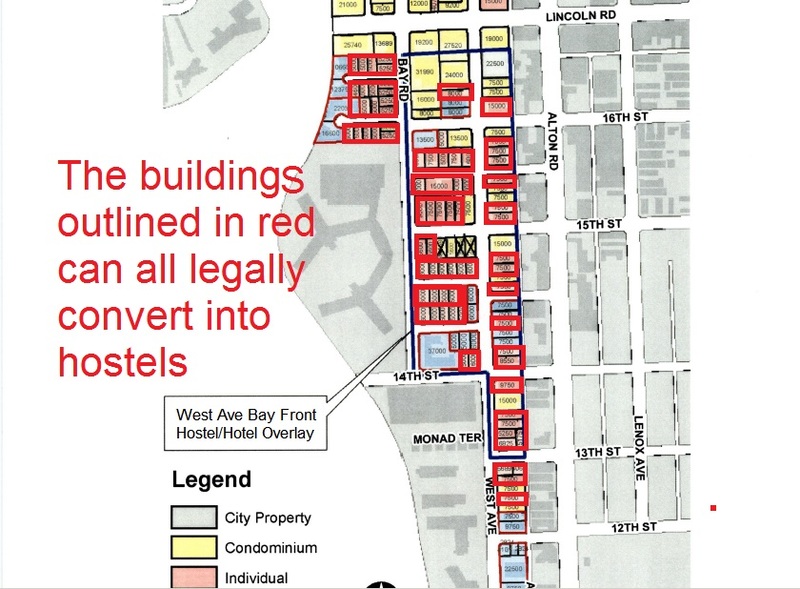 But the developer is lobbying for a new ordinance that would reduce that to 200 square foot units. Original Mayflower Hotel and adorable attached building with arched windows on the right.